LIT WITCHES BG NI-PK was written by Deborah Hautzig. 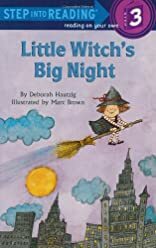 LIT WITCHES BG NI-PK was published by Random House Books For Young Readers. Subjects of LIT WITCHES BG NI-PK include Audio: Juvenile, Horror & Ghost Stories, Juvenile Fiction, and Non-Classifiable.